Finger lakes hold some wondrous scenery if you hit them at the right times. The cold winters usually deter much merriment and the summer can get sweltering, yet a nice day amidst the nature and culture of the region stands as a lasting euphoria. Personally, my favorite lake is Lake Skaneateles due to its crystal clear waters and the quaint town of the same name at the top. Granted the town can be pricey but aside from the surrounding nature, the town has a few great deals. 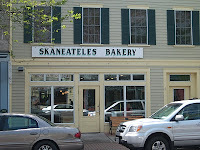 One of them is the Skaneateles Bakery, located on the main stretch of town. This bakery serves up sweet small town treats with a modern flair and has been raved of by many a friend. What drew me to the bakery one lovely day was less baked goods and more of good coffee rumors. Upon arriving on their doorstep, I spotted the Gimme Coffee sign in the window, which given the possibilities, it was a step in the right direction (Gimme has many great coffees but many times the local shops only buy the cheap stuff). Inside, the counter holds plenty of baked items and to the side and back is a blue-and-brown space with a healthy amount of seating. They did indeed serve Gimme, and thus I ordered a cup of their Asobargi via drip and an espresso. The drip coffee produced flavors of spicy mango salsa, tart cherry, a whiskey kick, a little earthiness and a heavy body touched with a tinge of bitterness on the end. The espresso, pulled short and with fading tan crema, held notes of bitter chocolate, graham cracker, sesame seed and a tinge of brightness. The tea is Harney and Sons. Given the coffee source being Gimme, I'm positive that this bakery could do better but if nothing were to change, they do a pretty decent job with their coffee (oh, their chocolate chip cookies were amazing too). 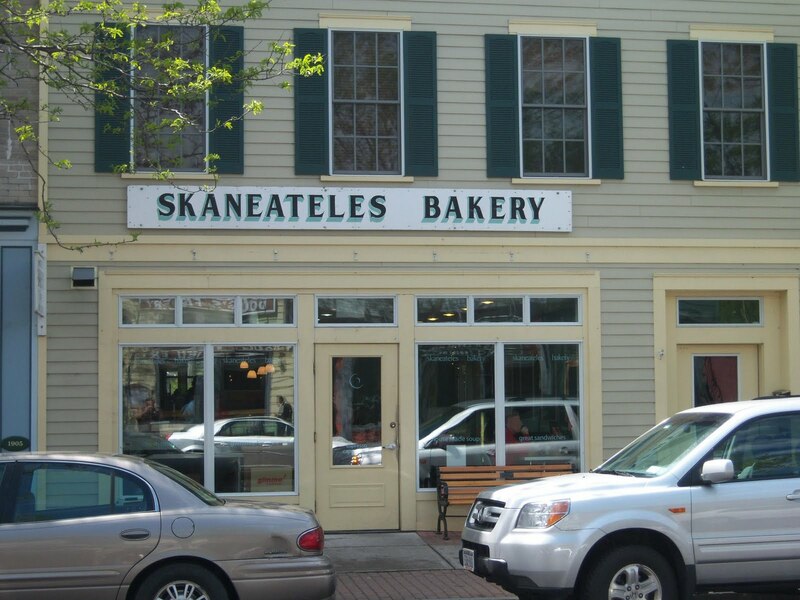 When in town, stop by the bakery.